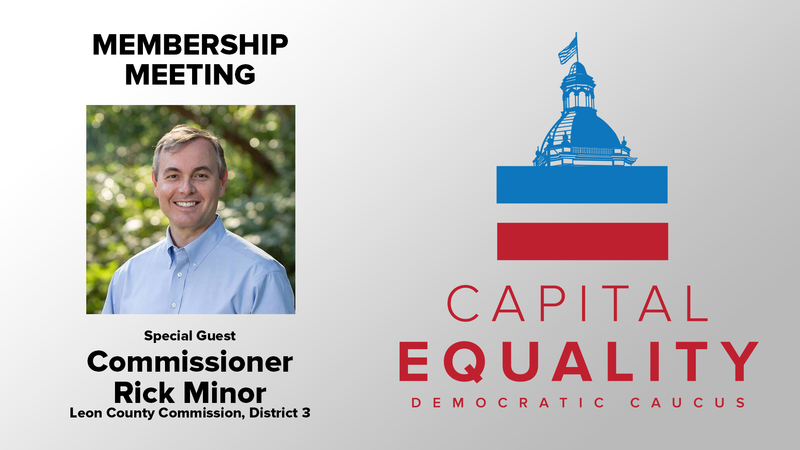 Leon County Commissioner Rick Minor will address the Capital Equality Democratic Caucus during its February meeting. Commissioner Minor will discuss his priorities for Leon County, including District 3, and share his insights and experiences since being sworn in to office in November. This meeting of the Capital Equality Democratic Caucus will be held on Wednesday, February 13, 2019, at 6:30pm, in Program Room A of the Leon County Downtown Public Library, Tallahassee, and is open to all Democrats.